Welcome to Equestrian Boots & Brides – this is the Heathcare and Supplements Page! This is your one stop shop to finding out about your horse’s health online from day to day healthcare to specialty supplements . Or are you thinking of becoming a vet? Or have you been taking lessons for a while and you want to learn more about your horse? 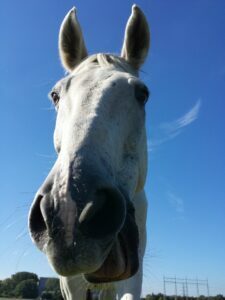 This page will give you a breakdown of all things related to your horse’s health. If you are on this website, chances are your horse (whether owned, boarded or simply ridden) are your pride and joy. Your horse’s health and happiness is your top priority. There are more and more new supplements on the market and new information about how best to tend to your horse’s healthcare. It can be frustrating to sift through this information and there are many untrustworthy sites simply trying to sell you their “cool new thing”. We know how much you love your horse and we are determined to make sure he or she always gets the best care by keeping you as well informed as possible! You want to make sure that you are doing everything you can to keep your horse as healthy and happy as possible. Here on this site, you will find plenty of information on horse healthcare including the basics, what to do if your horse gets sick as well as information on horse supplements. You will find out what the supplements are, what they do and whether they are right for your horse. Your horse needs to be groomed before and after every ride to keep the coat and hooves clean. If your horse has something in their hoof like a stone and you take them out for a hard ride, it could be very painful and potentially harmful. After a ride when your horse is sweaty, grooming helps to dry them off and prevents them from getting cold and stiff, reducing risk of injury. Also, your horse should be groomed after a bath to again help with drying their coat off and also to smooth out their coat and untangle their mane and tail. Ideally, your horse should be groomed every day even when they are not being ridden. I personally leave all other hoof care duties to the farrier except for picking hooves on a regular basis of course which we covered above in grooming. Here’s a quick article covering the ins and outs of horseshoes. If you either use or are thinking of using hoof polish on your horse for competitions, you might also be interested in this article on the subject: horse hoof polish. Depending on where you live, this may be more important than others. Also it will depend a little bit on your horse and your horse’s existing health status and tolerance for flies. Generally, healthy horses will roll in the mud to protect themselves and be able to keep most of the rest of the bugs away by swatting at them with their tails. Horses that have a low tolerance due to health status or other issues may benefit from having a light turnout blanket for bugs halter with an eye mask to protect their eyes from flies. Also this may be useful in regions that simply have a ton of bugs. Make sure you have a vet for your horse(s) and that they have regular checkups to make sure everything is okay. Preventative vet bills may be pricy but they’re nothing compared to how expensive things can get if anything goes wrong. Your vet should help you with this! First aid such as quick wrapping, application of analgesic liminent gels, etc. Have some liminent gels on hand always incase your horse has some joint pain or swelling. Also have wraps on hand for compression of joints, tendons and ligaments. 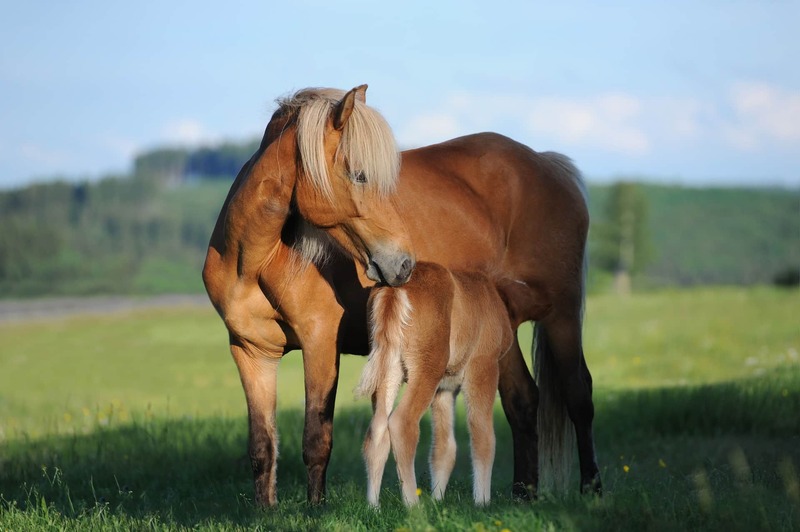 Horse Supplements – Joint Supplements, Vitamin E & More! As we talked about earlier, thеrе are so many diffеrеnt types of horse ѕuррlеmеntѕ. You can get supplements for their coats, their bones, their joints, their hooves and anything else you can think of! Bеfоrе уоu gо out a рiсk just аnу оld ѕuррlеmеnt, tаlk to уоur vеt оr ѕоmеоnе еlѕе who knоwlеdgeаblе and familiar with your horse as every horse is different. Vitamin E has been popular recently so if you’re interested, here’s a review article on the type I recommend: Vitamin E – the best supplement for horses? Finally, here’s one of the best horse joint supplements reviews out there. It’s a 100% complete review using legitimate research (I cite all of my sources so you can take a look at them as well) on what I think are the best horse joint supplements and which one I think is the best joint supplement for horses overall. I include what exactly each one does, their ingredients if they are disclosed by the manufacturing company and it even includes a joint supplement comparison as a detailed table that you can keep for reference. I would actually recommend that if you find it useful, you tape it in your feeding room or somewhere around the barn! A very common horse issue that I’ve seen is horses that are balding. This can be frustrating and concerning for owners. If you were loosing hair or if your hair was thinning, you’d be worried right (it’s happened to me and I certainly worry and get frustrated!) so why wouldn’t you do the same for your horse? If your horse has bald patches and you want to know why, check out this article I wrote about it that goes through all the different reasons why your horse might be loosing hair and what to do about it: Why does my horse have bald spots? Remember that the best thing to do if you have any immediate questions or concerns about your horse’s health is to get into contact with your trusted veterinarian. If you do not yet have one, ask around and find a good one that is close and convenient to get to. But for anything else we are always around! Learn more about your horse’s healthcare in our catalogue of healthcare articles! Now Let’s Talk About Your Healthcare! I initially started this website as an all about horses type of site but I have included some of my own personal healthcare habits because you guys seem to like it so much. My first article that I wrote was about horse shampoo and how I started using it on my own hair and it made a big difference. I’ve expanded on that article quite a bit since then and since then I’ve decided to keep writing about my own healthcare/beauty so hopefully you enjoy. Does horse shampoo make your hair longer & thicker? Great site! I love how it’s very simple to understand and laid out. Lots of very interesting and helpful information! What was the name of your first horse? I’ve always loved horses myself. 🙂 I like how you have the pretty pictures of various horses as well, really makes the page pop out at you more! Hey Sarah, the name of my first horse was Satchmo 🙂 He was black, very fiesty and a pony – I grew out of him when I was about 10. And thanks for your feedback on my page!